We were going to start the drive at midnight tonight... but we've decided to add even more prizes, giveaways, and signed books, so it will take another day or two before the fundraiser goes live. Once it does, it will run for a week. Watch the Wild Spirit site for more details. And once the flag goes up, give generously. 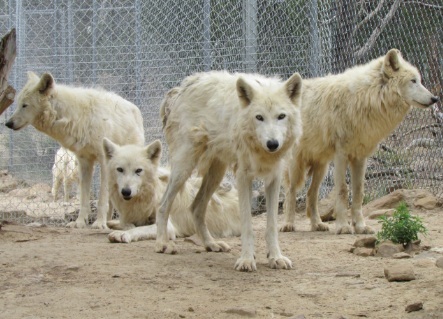 I just adopted some wolves ! Let us howl our thanks. Aooooooooooooo.